Engaging your audience over social media can feel like a daunting task as it is. It’s easy to forget about creating paid ads on Facebook. Anyone can create an ad on Facebook, but it’s only the start. 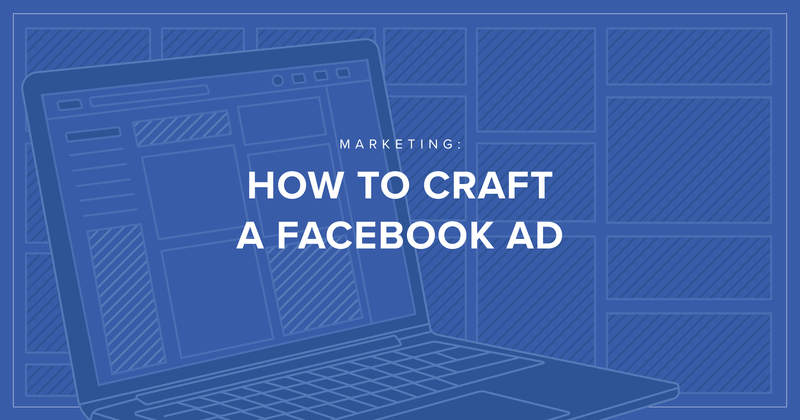 There are a few things to keep in mind as you craft your Facebook Ad. According to Facebook’s own statistics, there are roughly 3.5 degrees of separation between anyone who has a Facebook profile. This means that each person in the world is connected to every other person by an average of three and a half other people. You have the potential to reach anyone among Facebook’s 2 billion monthly users with just a few repeat shares. That’s a lot of people to sort through. Whew! Take a breath. Alright, now let’s dive in. Before you do anything, a solid content strategy is necessary. This strategy should keep all of your messaging on brand and working towards the same objectives. Solidify your strategy by asking yourself some questions. What are your goals for the ad? Determine what you want to gain from running this ad, if you have no direction your ad won’t have one either. Our goal here is to narrow down the type of content based on who you are trying to reach. If you are promoting an event in Seattle, you may not want to target residents of Orlando, Florida. On the other hand, if you’re a world-renowned amusement park in Orlando, you may want to target locations nationwide including Seattle. Don’t stop there, here are some additional considerations for your ad. How much money are you willing to spend on this ad? In this instance, money will be directly related to how many people you reach. How long do you want the ad to run? Facebook allows you to run an ad for a set period of time. For events and promotions, this will be easier to determine. The more we study the data, the more we are finding that visual content will keep your audience more engaged. Since engagement should be the overarching goal for your campaign, you should consider making your content visually oriented. BuzzSumo, the company specializing in tracking social engagement, found that using an image in a Facebook post more than doubles (2.3x) the engagement than posts with no image. Make a connection with your audience. Your story is even more powerful than the product itself. An engaging visual draws in your audience to connect to your brand. According to the super nerds at Brain Rules, 3 days after receiving information, your brain will remember only 10% of the information that it hears. However, when a visual is paired with the same information, that number is increased to 65%. A video or motion graphic will also help boost user engagement if it makes sense according to your strategy. If you don’t believe me, Animoto, the social video gurus, found that 4 times as many consumers would rather watch a video about a product than read about it. This is where all the hard work of determining your audience pays off. Facebook makes it easy for you to set up your targets for your ad. You will see real-time updates on your audience reach potential as you add or remove target metrics. However, it can be tricky to find the balance between a broad or a narrow audience. Our goal here is targeting the right audience to lower your cost per conversion. When creating an ad and targeting for your audience, choose which metrics are the most important to you. If you are promoting a new music festival in Austin, you may want to start by targeting people within Austin’s city limits before focusing on music genre. Target someone’s interest in music if your festival focuses on a specific genre. To sell your festival’s shirts onlin, target the behavior of online clothes shopping. Facebook allows you to pause and change your ad as necessary, so you aren’t married to an ad once it starts. If you’re finding the ad isn’t performing like you thought it would, you can easily tweak it in any way. Use this to your advantage. As your ad campaign is running, monitor it to see how it is performing. If you aren’t seeing positive results, pause the campaign and change how you are targeting. If you continue to see a lack of quality performance, go back to the drawing board to reevaluate your target audience. Once your campaign is fine-tuned and running smoothly, start feeding in some additional funds to expand your reach and maximize your return on investment (ROI). Take a moment to enjoy the victory you earned and then start planning the next one. Now that you have successfully learned how to craft a Facebook Ad, go do it! With a solid plan, a captivating visual, and the right audience, there is nothing stopping you from growing your business through a social ad campaign. While there are other forms of paid ads (Google, Bing, Instagram, etc. ), Facebook certainly has one of the easiest way of targeting your potential customers. Still have questions? We work with Facebook Ads all the time. We would love to talk to you about Starting Your Project today.